It’s 2019 and time to make some New Year’s resolutions! We all know how easy a resolution can be to make but they are hard to keep. We also know that it is just as easy to break a resolution but are there resolutions a store owner can make that would benefit the store AND benefit society? I think one resolution that would be mutually beneficial for both would be the implementation of environment-friendly policies and procedures. We are talking about sensible measures that would appeal to anyone on either side of the political spectrum. Right now there is a big push for the elimination of plastic shopping bags. There are also those opposed to going back to paper bags. What could the solution be? Try encouraging the use of recyclable, reusable shopping bags for your customers. You make those opposed to one-time use bags happy and you save money on the need to regularly purchase more shopping bags (which can be a rather pricey supply on your monthly expense report). To implement this type of change you would want to have reusable bags ready for your customers and you might even give them away for the first few weeks you start the program. After that, you might give customers a small discount to customers who bring their own bags, say 1% on every transaction. Problems that may arise by allowing recycled bags into the store. The first concern is the potential for increased shoplifting. Inviting customers to bring their bags into the store to bag groceries is going to make shoplifting that much easier. Thieves already walk by unattended cash registers to pick up plastic shopping bags as they enter the store. They fill them up, look like any other customer who has made a purchase at an in-store terminal and they leave. 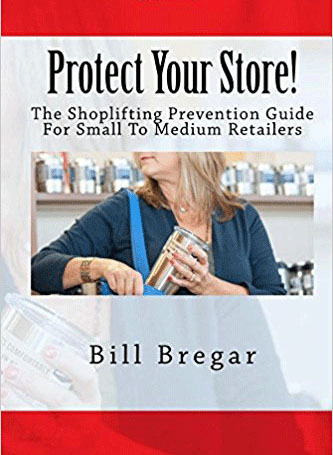 Most customers are honest but I would remind readers that one of the necessary ingredients for shoplifting is opportunity. Without opportunity, some people who may be tempted to steal for a thrill are kept in check. You provide opportunity by permitting reusable bags and some will take advantage of it. You also have to think, are the bags only allowed at the checkout stand? How do you keep shoppers from filling them up as a convenience rather than using a shopping cart? How do you monitor the shoppers for those who may be stealing and those who are simply picking up merchandise for purchase? It can lead to problems for store owners. There is a way to allow the use of shopping bags and minimize the risk of increased shoplifting and that is the installation of an electronic article surveillance system (EAS). If you are going to resolve to help the environment you can still do it just by adding an EAS System in your store if you don’t already have one. You tag all of your merchandise with EAS tags or labels depending on what the merchandise is or how you strategize your theft prevention procedures. If a shopper has concealed merchandise in a bag they brought in and did not pay for it the alarm is going to be activated and your employees will respond to it. Since we are on the topic of being environmentally responsible it is important that retailers know that many EAS tags are built out of recyclable materials. Hard tags can be used multiple times to tag and re-tag merchandise thereby saving on the need for constantly purchasing new tags and since they are recyclable they help the environment. It should also be noted a lot of Sensormatic systems help to reduce power consumption. When the systems are not in use (during non-working store hours) they go into a power saver mode. Stores save money and wasted energy. 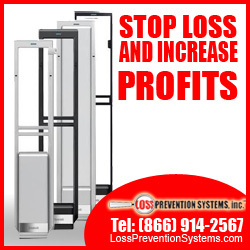 The use of EAS loss prevention equipment saves stores money by preventing theft and it allows stores the ability to appeal to their environmentally focused customers thus driving sales. Another environment-friendly step you can make as a retailer is to look at recycling those cardboard boxes your merchandise is shipped in. A cardboard bale can bring in anywhere from $10 to $20 a ton. If this does not seem like a cost-effective move for your store you could try partnering with a neighboring store and combine efforts. It isn’t a lot of money but it does keep cardboard out of landfills and you can advertise that to your customers. Resolutions may not be easy to keep but once you start down the road of using merchandise protection and you see the money you save in shortage and how easy it is to implement you won’t find it difficult to stay on track. In 2019, resolve to make some changes that will help the environment and make your store more profitable at the same time.